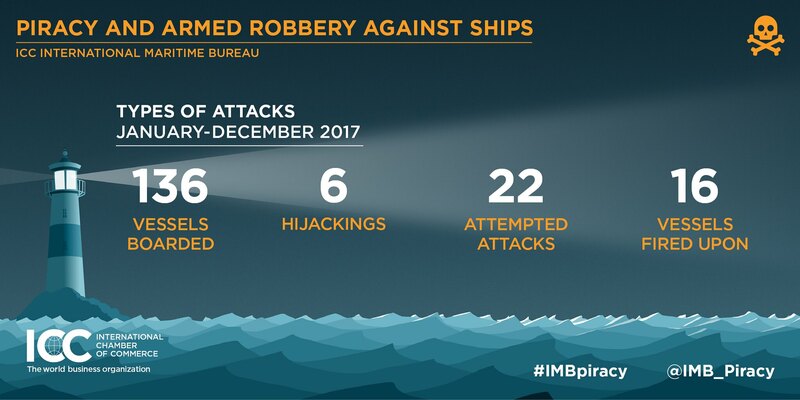 Launched in 1991, the IMB PRC is a 24-hour manned centre that provides the maritime industry, governments and response agencies with timely and transparent data on armed robbery incidents received directly from the master or owner of vessels. All attacks reported last year can be viewed online on the 2017 IMB Live Piracy Map. 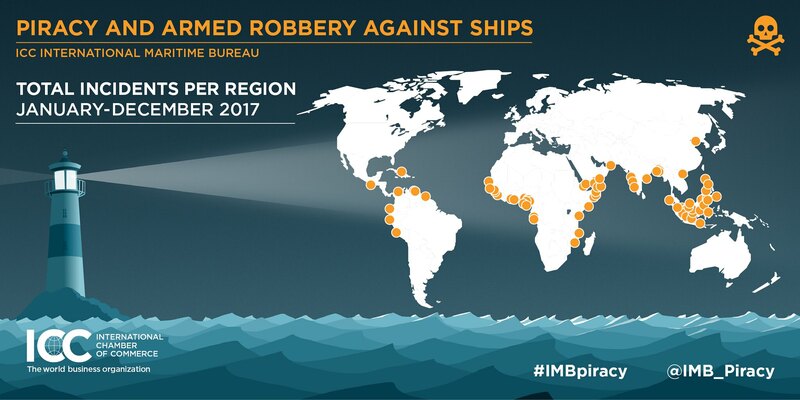 Follow the @IMB_Piracy and #IMBPiracy on Twitter!